If you want to go all out in rewarding yourself for 40 days of abstinence from sweet stuff, this may just be the dessert for you. 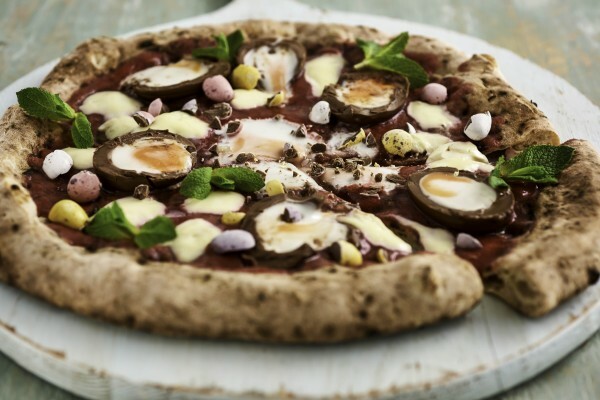 London-based Crust Bros has created a Creme Egg pizza, complete with sweet base, to get us ready for Easter. It may look like they’ve shoved a load of creme eggs on top of a normal tomato and cheese base, but the reality is much more complex. The ‘Fior-egg-tina’ replaces the savoury flavours with a macerated strawberry base, mascarpone and mint, topped with Creme Eggs. Instead of extra parmesan sprinkled on top, customers can add crunchy Mini Eggs to make this Easter treat even more indulgent. It’s available for a week from Friday from Deliveroo, costing £6.45. If you want to upgrade to mini egg sprinkles, it’ll cost you £6.95. It’s a pretty cheesy move, but we can’t wait to try it.